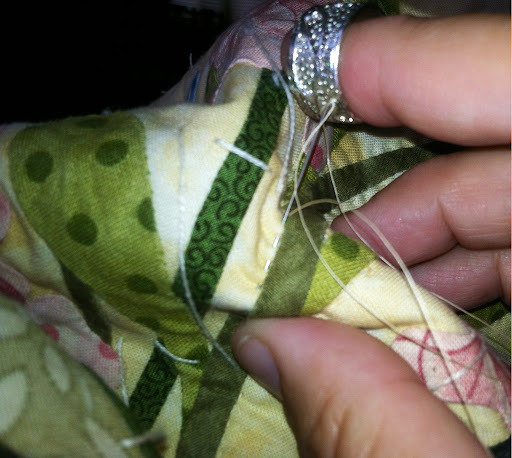 Kristin's Quilts and Stuff: Sewing Sunday- Do You Like To Sew By Hand??? 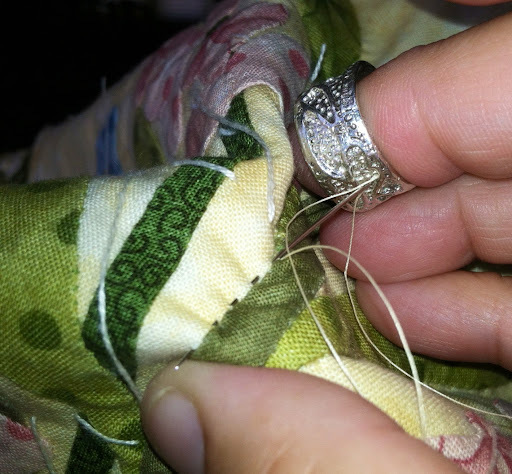 Sewing Sunday- Do You Like To Sew By Hand??? What's a girl to make today? 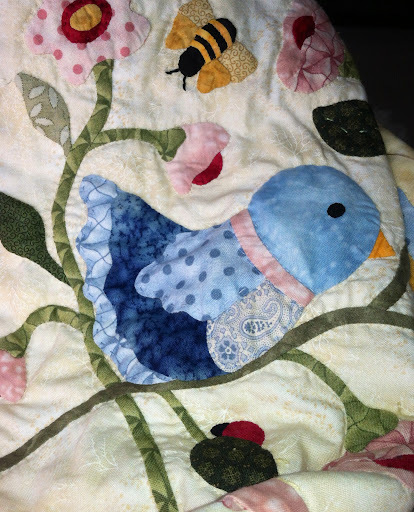 I finished up my mini quilts and am ready to start up something new but need some inspiration!! I still have my WIP hexies, going a bit slower in these lately. I did design some pretty complicated patterns and those itty bitty pieces are holding me back. I do need to gt back to my goal of 5 a week. 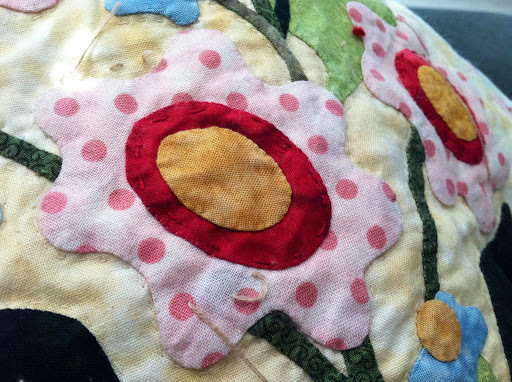 Working on my hand quilting, Fantasy Flowers, that is going well. I guess I count that in lengths of thread done each day. One 18" strand a night is pretty good progress. I am leaning toward an acho quilting around all of the appliqué for a dense stipples look. See my pinterest for examples. I am adding bits of colored 12 weight thread or pearl cotton as I go. Not sure I like the way they look on the back. I might use matching thread to go all the away through first and then do embellishments in just the top layer and batting. As this is my first hand quilting project not all the stitches go through to the back. It bothers me but unless I feel it right away their is no way I am going back and rip them out. I have tried using a hoop and just can't get the knack of it so I prefer hoop-less, with a rocking stitch from the right to left or top to bottom. 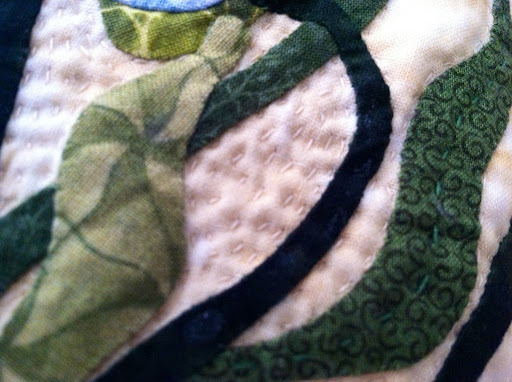 I always like the look of hand quilting and yours looks great! I also love your name!